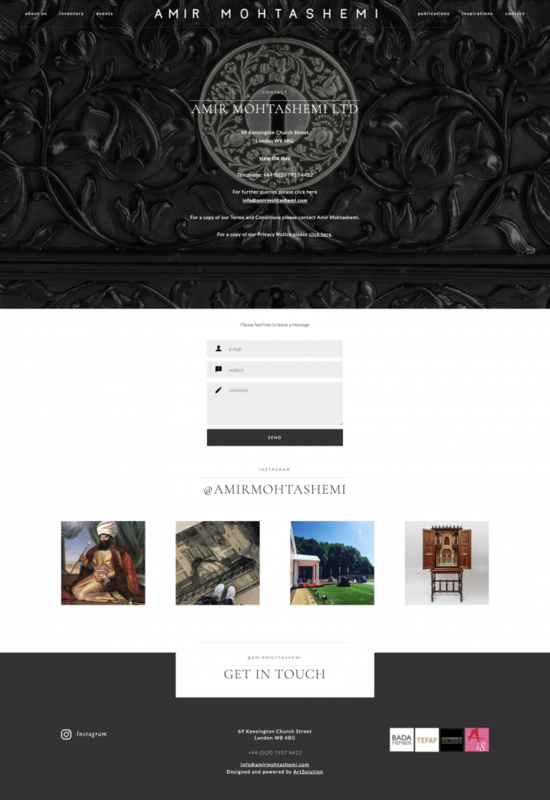 Amir Mohtashemi is a leading specialist in Indian and Islamic art. His experience in this field spans over 25 years and today his advice is sought by private collectors and museums worldwide. 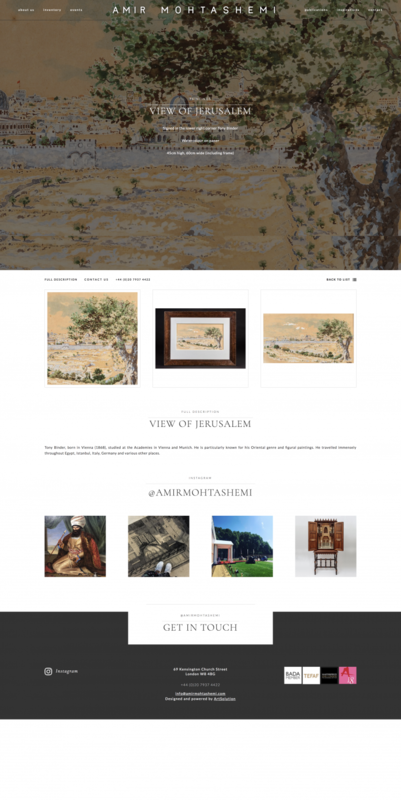 Amir Mohtashemi gallery is located on Kensington Church Street and showcases Indian and Islamic works of art with a particular interest in cross-cultural material. The gallery exhibits a range of items including paintings and miniatures, ceramics, metalwork, furniture, textiles and arms and armour. Amir strives to acquire important, rare and interesting objects which have a credible provenance. Each year the gallery participates in prestigious art fairs namely TEFAF Maastricht, Masterpiece London and Asian Art in London. The gallery has sold works to major museums including: Asian Civilisations Museum (Singapore), The British Library (London), Islamic Arts Museum Malaysia (Kuala Lumpur), Ismaili Council for Canada, Kiran Nader Museum of Art (New Delhi), The Metropolitan Museum of Art (New York), Musée Guimet (Paris), Musée du quai Branly (Paris), Museum of Fine Arts Boston, Museum of Fine Arts Houston and the Sadberk Hanim Muzesi (Istanbul). 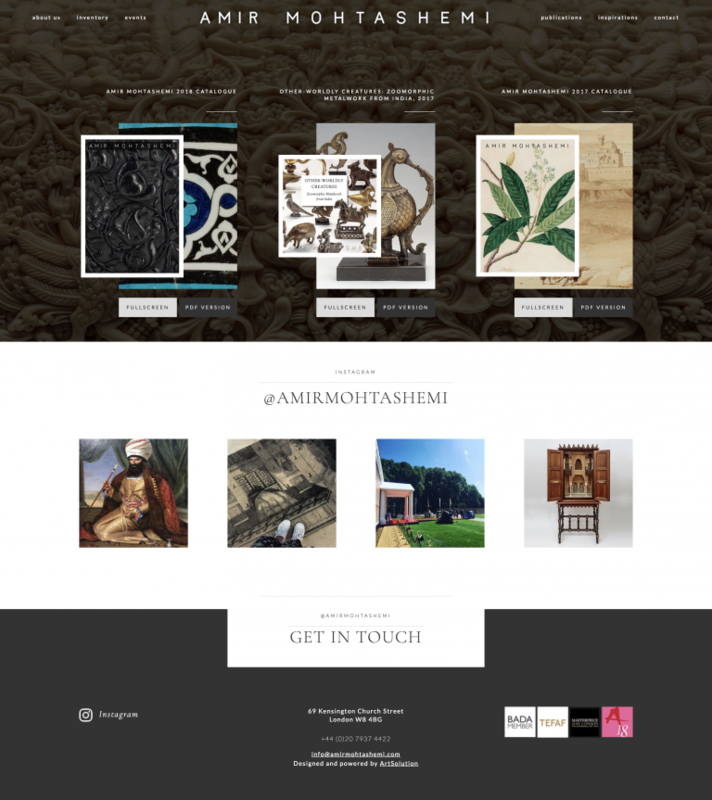 Amir Mohtashemi’s website was designed and created by ArtSolution.